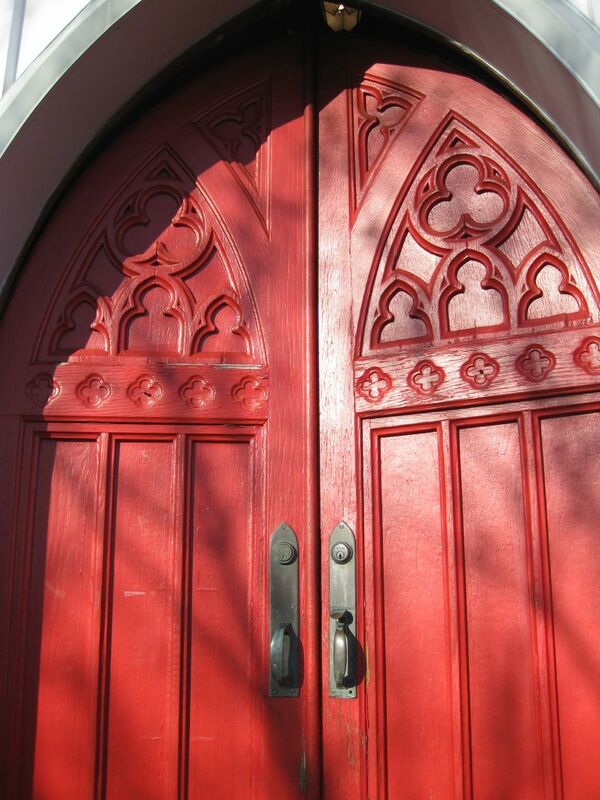 In 2013, Mickey was commissioned by St John's Episcopal Church in Boonton, NJ to refurbish their beautiful historic church door. 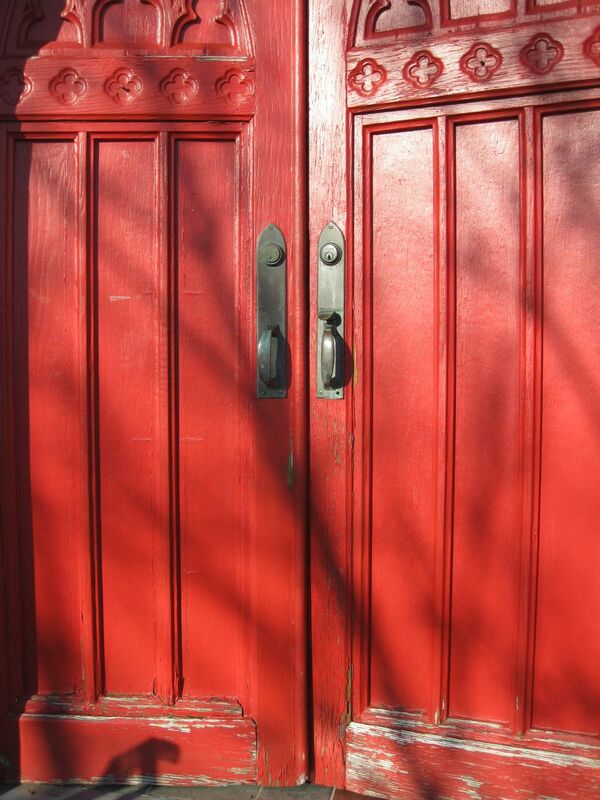 The church building has been around since 1887 and the door had suffered a lot of wear 'n' tear throughout the years and needed to be refurbished, repainted, and protected from further damage. 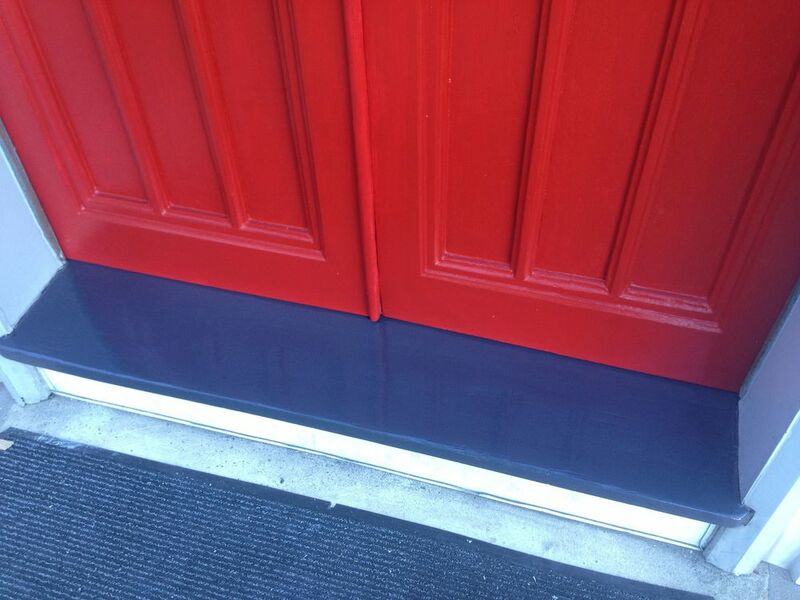 Check out some behind the scenes photos of the St John's Church door being restored at In The Shop. You can read about the history of St. John's Episcopal Church here.